Raeside Chisholm are pleased to offer both our private and commercial clients considered advice in all manner of civil disputes. Our Dispute Resolution and Litigation Department recognise that it is not always in our clients' best interests for matters to be automatically litigated over. We are happy to explore with our clients modern alternatives to litigation with a view to resolving their disputes, adopting an imaginative approach to solving their problems. Contact our expert Commercial Litigation Solicitors in Glasgow today. There are alternative forums within which disputes between parties can be resolved. Our Dispute Resolution Team will be pleased to consider with you whether mediation, arbitration or adjudication might provide an alternate to litigation through the courts, in the event that negotiation is unlikely to achieve an acceptable resolution. Our Dispute Resolution and Litigation Team do however have between them decades of litigation experience and can offer expertise and specialist advice and can provide clients with appropriate support in many areas of potential dispute. Our Dispute Resolution and Litigation Department is headed by our director, David Doig. He is responsible for coordinating his department including their offering advice on matters which might be resolved through negotiation, arbitration or mediations He heads up our experienced Debt Recovery Team which can provide a complete and professional service at a cost effective rate. He and his team have experience in disputes involving neighbours and with particular experience in relation to matters involving interpretation of deeds of conditions relevant to common property. Our commercial litigation offering provides advice to business minded individuals and to small and medium sized businesses in relation to contractual disputes, application of partnership agreements and pursuit and defence of claims for damages. They have experience in relation to personal injuries matters and can ensure that clients receive specialist advice, perhaps funded by insurers, whether it be in the Sheriff Court or the Court of Session. The Team can assist parties in property disputes which require to be resolved in Land Court or Lands Tribunal. Our Commercial Litigation Team offer advice in relation to tenancy agreements, both domestic and commercial and ensure both landlords and tenants are equipped with advice to enable them to have determined issues arising in the creation of tenancies, through the operation of leases and on termination of such contractual arrangements. They assist in providing advice with regard to service of relevant notices to quit and AT6s and pre action protocols, as well as raising appropriate proceedings on behalf of landlords for eviction/ejection and removal of defaulting tenants. Our team have experience in evicting parties utilising land to which they have no title to occupy. Our Commercial Litigation Team are happy to advise on issues surrounding bankruptcy and insolvency including that of individuals or the winding-up or liquidation of companies. They work closely with insolvency practitioners in connection with operation of trust deeds and sequestration. We are pleased to offer advice to individuals who have found themselves in the position of being unable to cope with their debts, and are happy to work with such individuals with a view to seeking to find some breathing space with their creditors, freezing of interest, postponing the enforcement of judgements or decrees against them, or sensitively assisting them in winding down their affairs through personal insolvency (bankruptcy / sequestration). We can also assist individuals who have already been declared bankrupt, and can assist in petitioning the Court for the recall of awards of sequestration following appropriate resolution of issues with creditors and the Accountant in Bankruptcy’s representatives. We also assist Companies in dealing with difficult financial situations which might arise from time to time. We can engage in negotiating matters with creditors, and if a resolution cannot be achieved, will liaise with Insolvency Practitioners in achieving a structured winding up of the business. David Doig has had a particular interest in representing the operators of a privately run Scottish prison in connection fatal accident enquiries arising from the deaths of inmates in custody. Our Commercial Litigation Team will therefore be pleased to offer clients imaginative and prompt guidance and support on court and quasi court matters. David is a director at Raeside Chisholm and heads up the Commercial Litigation Team. 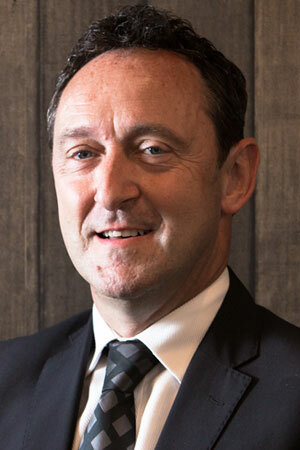 He has 28 years’ experience in civil court matters, and is responsible for a Team who can offer a range of advice to commercial and business minded individuals who require debt recovery, repossession or straight forward dispute resolution and litigation advice. He has considerable experience in commercial law disputes and has been an enthusiastic participant in the commercial court at Glasgow since its introduction in 1999. He has offered advice to individuals, as well as to corporate and institutional clients. David and his team know how much clients value effective and prompt service, maintaining a sensitive eye on the economics associated with achieving a practical resolution to the matters at issue. He and his team act on behalf of clients both north and south of the border and have connections with Firms in England and Wales, so a continuing hand-on service can be provided to clients, even when matters required to be pursue out-with the Scottish Courts’ jurisdiction. Claire is an experienced solicitor in our dispute resolution and litigation department with more than 20 years’ Court experience behind her. She offers advice on a full range of civil issues including debt recovery, alternative dispute resolution and contractual issues. She frequently appears in Sheriff Courts conducting hearings, both procedural and evidential, at all stages of the judicial process. She handles agency instructions for out of town solicitors appearing on behalf of their clients at all stages in the litigation process. She has a full and practical understanding of all civil court processes available in Scotland, including Small Claims, Summary Cause and Ordinary procedure. She regularly liaises with advocates in relation to complex or Court of Session work and accepts court appointments as a reporter and curator in Sheriff Court child care cases. Diane is a Paralegal, in our Dispute and Resolution Department. She has attended the University of Strathclyde where she attained her Paralegal qualifications in Civil Court Procedure and Family Law. She has been qualified for over 15 years in Civil Court Practice. Her primary responsibility is the co-ordination of our debt recovery department. She is involved in all aspects of debt recovery, including raising small claim/summary cause and ordinary cause actions in the Sheriff Court and the enforcement of Decrees obtained. She assists the other solicitors in our Dispute Resolution and Litigation Department in the raising of Ordinary Cause and Commercial actions on behalf of both individuals and small and medium sized businesses. She works with the team in offering advice to Housing Associations and Property Management clients as well as both private and commercial landlords. Diane has experience in appearing the Sheriff Court in relation to heritable actions relating to termination of tenancies and the recovery of outstanding rent. She also attends Court for Diets of Assessments and appears before the Auditor of Court in relation to Taxations. To arrange an initial consultation with one of the best commercial litigation lawyers in Glasgow, please complete our online enquiry form or contact us on 0141 248 3456.